Associate Professor Michael Walmsley will be delivering a public talk at Matamata College on the topic of ‘Renewable Energy & Powering NZ’s Future Without Oil. 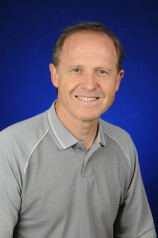 Mr Walmsley is an Associate Professor from the School of Engineering at the University of Waikato, with research interest and expertise in Energy Systems Modelling. He received a 2014 Fulbright New Zealand Scholar Award to research the integration of renewable energy and exhaust heat recovery into food processing plants at the University of California, Davis.